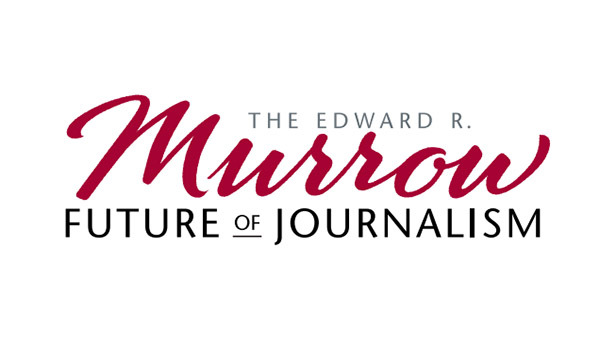 The decline in the number of journalists working in the Pacific Northwest threatens to undermine civic engagement, government accountability and the public’s knowledge of local communities, according to report issued by The Edward R. Murrow College of Communication at Washington State University and The Seattle Times. The report was based on a gathering of dozens of regional and national news media leaders brought together to discuss the seismic changes that have staggered traditional media in the past decade. The late President Elson S. Floyd funded the roundtable to improve and enhance journalism in the Pacific Northwest. Frank Blethen, publisher and chief executive officer of The Seattle Times, said corporate consolidation had undermined the industry and threatened cities and towns that depend on local journalists to cover their communities. Blethen called for diverse ownership of news media and suggested government intervention may be needed to protect and support local media. “It is essential to democracy that information is free and ubiquitously available for little or no cost,” said Blethen, whose family founded The Seattle Times in 1896. At the same time, the fact that many regional news outlets were purchased by national ownership and changes in digital media have upended newsrooms across the region and the country. More than half of readers today seek news through mobile devices, and that number is expected to climb to 75 percent by 2018. The move to mobile platforms has again forced media companies to adjust how they prepare content for viewers, said Mark Briggs, Seattle’s KING 5 TV Digital Director. That mobile use has spurred Internet advertising revenue, which reached $50 billion in 2014, according to the Internet Advertising Bureau Revenue report. Though 2015 numbers are still being compiled, they are expected to top all previous highs, the report states. The jump in online advertising has benefitted just a handful of companies. About 70 percent of the ad revenues go to just 10 companies, none of which produces news content. For example, Google received 42 percent of digital advertising. Newspapers and television industries are behind in the transition to digital advertising. Newspapers, which received about 20 percent of all advertising revenue in the pre-Internet days, now receives only 7 percent of the $50-billion market digital advertising. Television stations used to receive 60 percent of all advertising revenues. Now, its digital revenue claims only 5 percent of the digital total. This year, the number of journalists working in the United States will be 28,000, which is about half the number that were employed in 1990. Pressure is growing on companies like Google and Facebook to share that revenue with content providers. Kathy Best, editor of The Seattle Times when the roundtable was held, said The Times creates video content that is a departure from what has traditionally been produced by regional television newsrooms. Jarl Mohn, president, and CEO of National Public Radio, said NPR is looking to capitalize on those changes, drawing on more than 1,500 radio journalists across the country. The move to mobile platforms provides an opening for radio to extend its reach. Evan Hansen, head of news for Twitter’s Periscope project, said that many technology companies have succeeded by being unafraid to place “small bets” and then selecting only those ideas that show promise. When Evan Smith noticed a decline in political coverage in Texas, he decided to place one of those bets — he launched a nonprofit and nonpartisan newsroom in 2009. Smith, the founder of The Texas Tribune, tries to engage and inform the state’s citizens; Texas traditionally has among the lowest rates of voter turnout in the country. “In our case, the problem we’re trying to solve is woefully low civic engagement,” Smith said. His online, non-partisan, investigative reporting publication is supported by foundations, subscribers, and up to 52 special events on college campuses throughout the year. Smith says that support allows The Texas Tribune to publish award-winning investigative reports in cooperation with The New York Times and Pro-Publica. Texas state legislators now talk about The Texas Tribune effect on legislative hearings. According to Smith, when a reporter is present, the lawmakers know they will be held accountable. Download the Future of Journalism Whitepaper can be downloaded here.